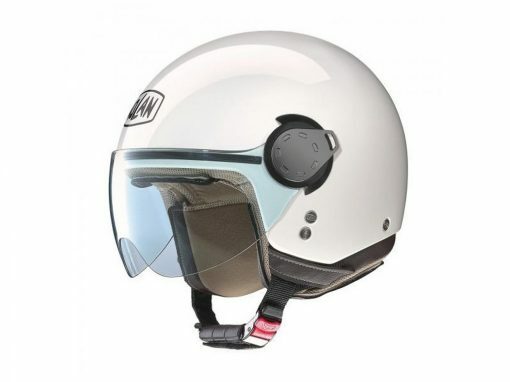 Nolan Helmets have been manufactured in Bergamo, Italy, since 1972. Started by Lander Nocchi, Nolan is proud of their Italian heritage. When all the other helmet manufacturers moved their production to the Far East to produce cheaper products, Nolan decided to keep their factory open and all their workers employed. Their goal is to offer high-value products with innovative features at the best price. Manufacturing in their own factory in Italy allows Nolan to exert extraordinary control over the quality of their products. They use all the best materials available, and manufacture every part of every helmet in house. They have their own research team and their own test lab to ensure that every helmet conforms to the safety standards of all the markets around the world. Nolan Helmets have been manufactured in Bergamo, Italy, since 1972. Started by Lander Nocchi, Nolan is proud of their Italian heritage. When all the other helmet manufacturers moved their production to the Far East to produce cheaper products, Nolan decided to keep their factory open and all their workers employed. Their goal is to offer high-value products with innovative features at the best price. SKU: . Categories: Clearance Specials, Helmets. Tags: Classic Plus, cruiser, Helmet, N20, Nolan, On Road, Safety, scooter.